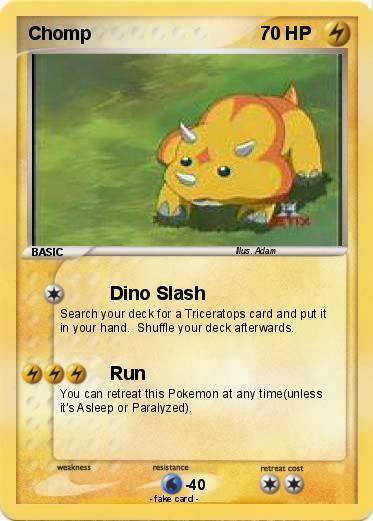 Search your deck for a Triceratops card and put it in your hand. Shuffle your deck afterwards. You can retreat this Pokemon at any time(unless it's Asleep or Paralyzed).